Seller will give you a gift certificate in the amount of 18 RUB for a positive review of the product purchased. 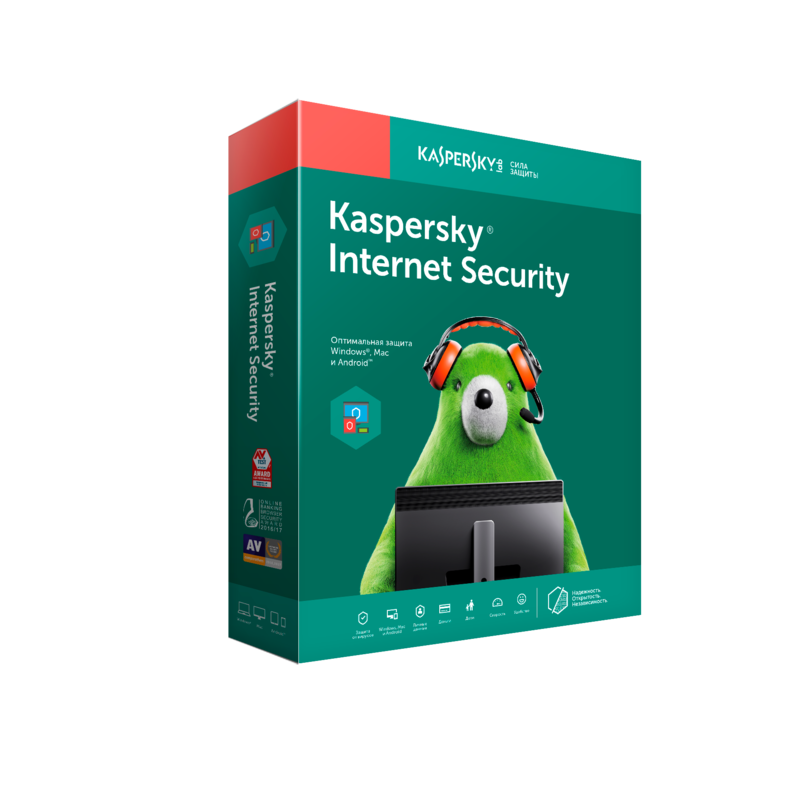 Kaspersky Internet Security 2 devices for 1 year. The customer receives only the activation code type XXXXX-XXXXX-XXXXX-XXXXX, which is suitable to activate the product on the platforms Windows, Android and Mac OS. The license term begins on the date of the first activation. The code will come to the 2018, 19 version. During the installation process on your PC activate a trial version - the program will work and be updated for free for 1 month. Then here you can buy a commercial version (and enter the activation code purchased here) - the program will work and updated another 12 months. Before purchasing a license, you have the option, within 30 days to determine whether the program meets your needs, for your computers / devices and meet your expectations. Therefore, the seller shall not remunerate the costs on the sale of licenses. All sales are final. Since payment is non-refundable. Note: The license term begins after the first activation of the product on one of the devices. After the purchase, please leave your review! You can activate the code only in the following countries: Russia. Seller will give you a gift certificate in the amount of 18 RUB for a positive review of the product purchased..